7DAYS EuroCup Top 16 Group E features four strong and experienced teams, led by Darussafaka Istanbul, which made it to the Turkish Airlines EuroLeague playoffs last season. 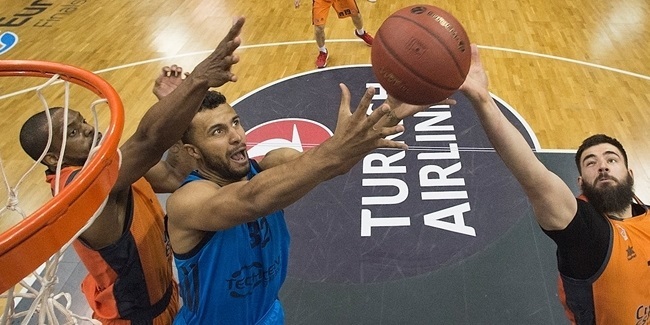 Another Turkish club, Galatasaray Odeabank Istanbul, ALBA Berlin of Germany and Herbalife Gran Canaria of Spain round out a competitive and exciting Top 16 group. It will happen right away, in Top 16 Round 1. That is when ALBA Berlin travels to the Canary Islands to face Herbalife Gran Canaria. A warm ovation will likely be given to ALBA head coach Aito Garcia Reneses, who helped Gran Canaria become a true EuroCup powerhouse. Coach Aito led Gran Canaria for two unforgettable season. Gran Canaria went all the way to EuroCup Finals in the 2014-15 season by playing attractive basketball and winning 21 of its first 22 games. 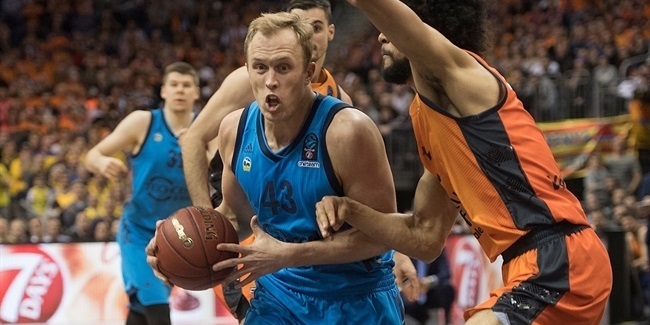 Gran Canaria swept Cedevita Zagreb, Pinar Karsiyaka Izmir and Unics Kazan to storm in the EuroCup Finals for the first time, but Khimki Moscow Region won both games and the crown. Gran Canaria and Aito were not done; together they reached the Spanish Copa del Rey final in 2016 after downing Valencia Basket and Dominion Bilbao Basket before falling to Real Madrid in the title game. He set the basis for a strong Gran Canaria future; seven of the players from his last year with Gran Canaria remain on the team and reaching the Copa del Rey final allowed the club to qualify to the Spanish Supercup final four, which became the club's first official title. Aito took a year off, but is now back with ALBA Berlin doing what he does best - making his team competitive while giving young players the chance to show what they can do. It is fairly common in modern basketball to have players who have been on other teams in your EuroCup groups, but having more than half your roster with experience from other teams in a four-squad Top 16 group is a whole different level. Three Galatasaray players wore Darussafaka's jersey in the past - Mehmet Yagmur was there for three season, from 2014 to 2017; Goksenin Koksal played for Darussafaka in the 2014-15 season; and Emir Preldzic did it a year later. Moreover, two more players suited up for ALBA Berlin - Alex Renfroe wore the ALBA colors in the 2014-15 season and Jordan Taylor did so a year later. As for Gran Canaria, Richard Hendrix played for the Spanish powerhouse last season and DaJuan Summers did so in 2014-15. None of the current players on ALBA or Gran Canaria played for any of its Top 16 opponents in the past and only one Darussafaka player - team captain Furkan Aldemir - has experience with one of the other three squads; he played for Galatasaray from 2011 to 2014. If experience on other teams matter, Galatasaray definitely has an advantage. As an extra piece of data, three players who were with FC Barcelona Lassa last season - Marcus Eriksson of Gran Canaria, Stefan Peno of ALBA and Alex Renfroe of Galatasaray - will meet again, but on three different teams. All four teams have their own, well-defined basketball identity and that makes this Top 16 even more interesting. Gran Canaria has arguably been the best team on offense in the competition, leading the regular season in performance index rating (107.9), scoring (92.5 ppg. ), assists (21 apg.) and two-pointers made (25.1 per game). Sure, Gran Canaria scored 128 points in a triple-overtime showdown and that moved its numbers up, but the Spanish powerhouse is third in free throw percentage (80.6%) and second in two-point shooting percentage (57.4%) as it makes the most out of its twin towers, Anzejs Pasecniks (64.9% 2FG) and Ondrej Balvin (68.8%), who have combined for 91 of the team's 251 two-point baskets. Having a tall, mobile lineup also explains how Gran Canaria allows opponents fewer rebounds (28.1 per game) than anyone else. Darussafaka is one of the best defensive teams in the competition, allowing 72.9 points per game (second overall), 14.6 assists (also second) and forcing opponents to shoot with very low percentages (48.2% 2FG, 32.7% 3FG, 70.7% FT). That helps Darussafaka rank second in rebounding (37.6) and defensive boards (26.6). ALBA likes to play aggressive and circulate the ball; a trademark for all Coach Aito teams. It ranks second in fouls drawn (23.7 per game), third in least fouls committed (20.1) and fifth in three-point shooting percentages (42.3%). ALBA powers the offensive glass better than any other team, allowing opponents to get just 19.5 defensive rebounds per night. Galatasaray has its main strength in three-point shooting at both ends of the floor. It hits 9.4 per game with good percentages (40.9%, fifth overall) and forces opponents to shoot a poor 31.3%, too. That helps Galatasaray become one of the best defenses in the competition, allowing just 77 points per game. Darussafaka, the top-seeded team in the group, faces three teams that have had deep runs in the EuroCup. Galatasaray could become the first team to defend the title in its next appearance in the competition - since the EuroCup champion qualifies to the EuroLeague, chances for back-to-back titles in the competition are downright impossible. Galatasaray won the EuroCup in 2016 after eliminating Gran Canaria in a thrilling two-leg semifinal series that literally came down to the final shot, missed by Albert Oliver at the buzzer. Galatasaray took the first leg of the series 89-75 behind 18 points each from Errick McCollum and Chuck Davis. Gran Canaria rallied and took the lead in Game 2, but Vladimir Micov played a decisive role, scoring a critical basket at the end of regulation to force overtime and blocking Oliver's shot at the end of the extra period. Gran Canaria took Game 2, 94-81, but Galatasaray won on aggregate. Gran Canaria previously made it to the EuroCup Finals in 2015 and ALBA Berlin reached the title game in 2010. ALBA downed Hapoel Jerusalem in the quarterfinals and defeated Bilbao Basket in the semifinals, but Power Electronics Valencia stopped the German powerhouse in the final, setting several defensive records on its way to a 44-67 win.